Ludlow Castle, high above the River Teme, is a reminder of the town’s historic importance as capital of the Welsh Marches, and still provides the setting for many events throughout the year. The tower of St. Laurence’s Church dominates the skyline from every approach. 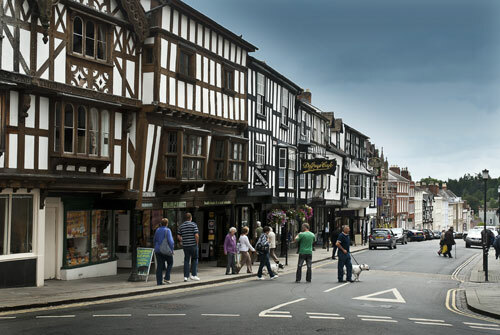 Still very much an active market town with markets in the Castle Square most days, its half-timbered buildings and fine Georgian houses cannot fail to impress. 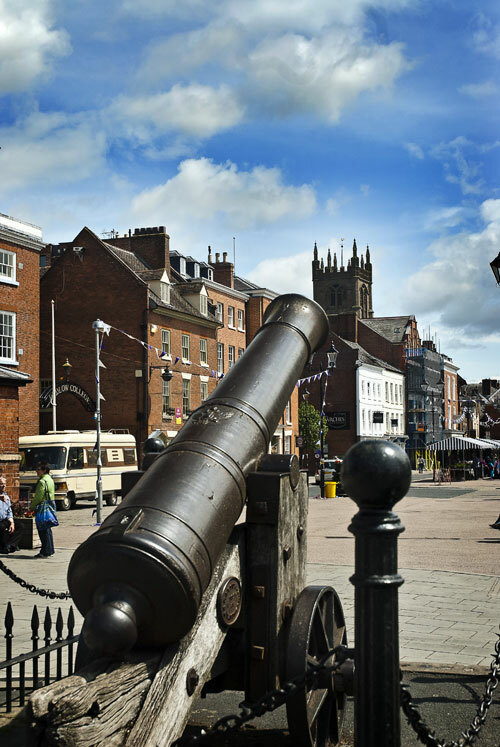 The town is a delight for ‘foodies’ with its many pubs and excellent places to eat. 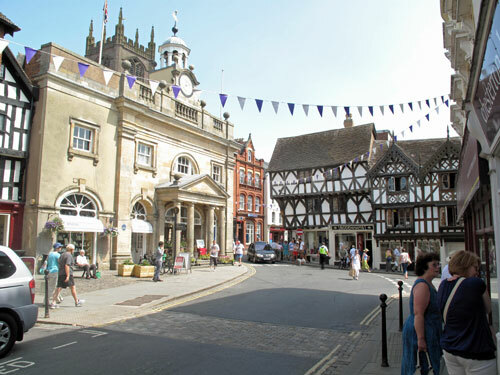 Ludlow Food Spring Festival early May. 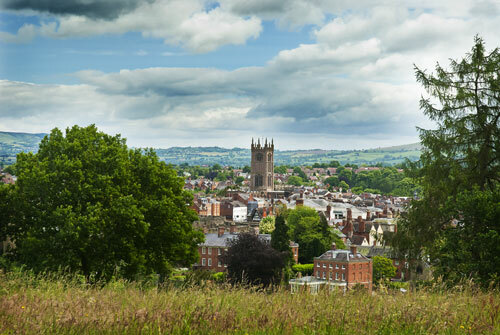 Ludlow Fringe Festival is held at the same time as Ludlow Arts Festival in the end of June. 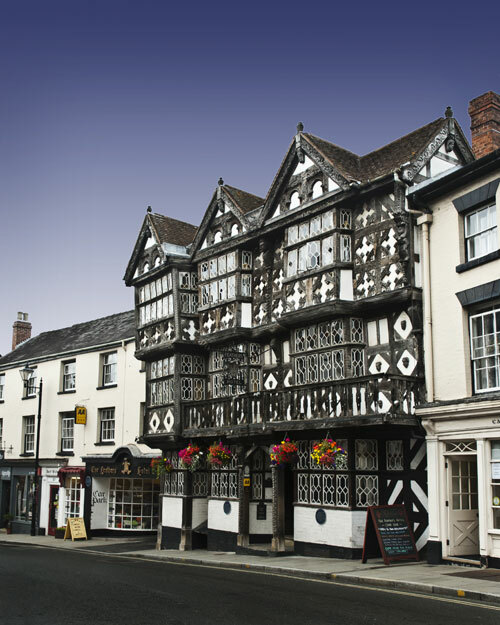 The now famous Ludlow Marches Food and Drink Festival is in early September and the Medieval Fayre is at the end of November. 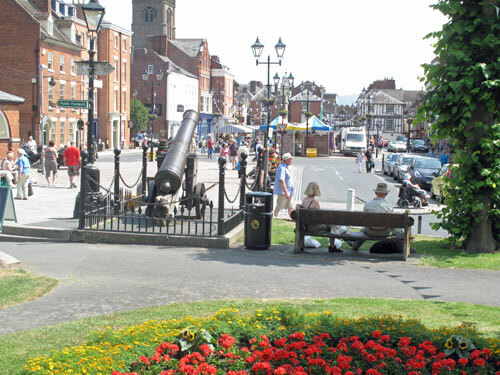 Within easy travelling distance, the Shrewsbury Flower Show is in early/mid-August. All well worth a visit.